This is Amy a Springer Spaniel. Her owner wanted me to work from a particular photo in which she was wet but her owner didn't want her to look wet. I had to work from other photos for her colouring and the dry look of her fur. 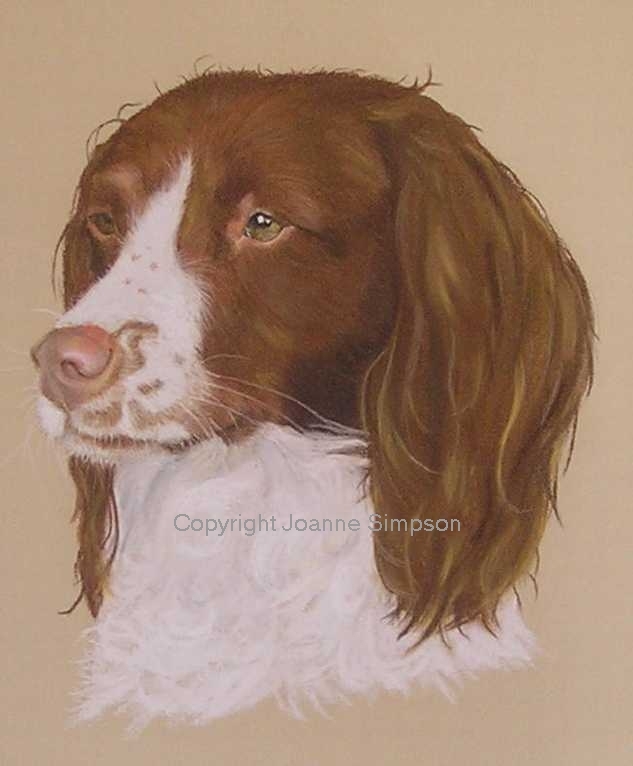 We are so pleased with the excellent painting of our Springer spaniel Amy. It is an extremely good likeness of her and would have no problems whatsoever in recommending your work.